The first time someone spotted a grey hair on my head a few years ago, I had a mini panic attack. I was suddenly consumed by the thought of turning all grey which was a scary feeling for me as I was not ready. My dad faced greyed really late whereas my mom greyed in her 30s, so I thought that I had inherited early greying from my mom. Thankfully that 1 strand has turned only to 5 in a few years which is not bad at all but I am always consumed by the fear of suddenly turning grey. While I try my best to have a work-life balance, there is a lack of balance quite a few times which makes me worry that, that will be the cause of my greys. It is natural that you are going to start greying with age. But early greying is what is the worry of the day. I have not sailed that boat, but my mother, husband, people in my family and friends have faced this issue. Some blame it on genetics but not following a proper diet, irregular sleep cycles, work pressure, personal stress, pollution, lifestyle habits, chemical treatments to hair at an early age, etc. all are causes. Greying of hair happens when the level of melanin in the hair roots starts to decrease. Melanin is the natural pigment that each hair follicle has, which gives hair its dark colour. As we age, the production of melanin decreases which results in whitening from the roots. The same thing happens in premature greying, but it means you start greying when it really is not your age to grey. Thankfully we have a solution to this problem that is not only a corrective but also a preventive! Science has the answer in the form of Marico's True Roots Botanical Hair Tonic that delays hair greying from the roots. A disruptive, first-of-its kind innovation, the hair tonic works towards increasing the melanin levels in the hair roots and thus hair greying is delayed as well as prevented. The main ingredient is Apigenin - an extract of chamomile flowers, forskolin and grape seed extract which together have powerful anti-inflammatory and antioxidant properties, that increases the melanin levels in the hair roots. 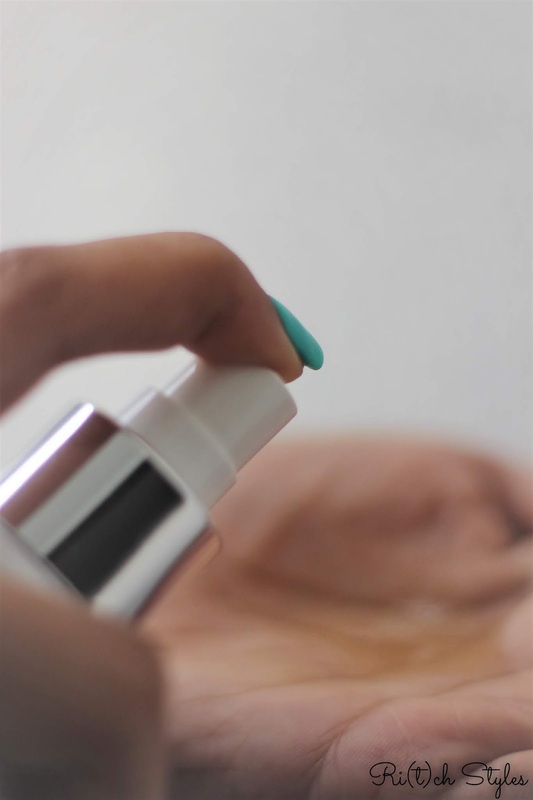 The tonic is dermatologically tested and is clinically proven to show no new greys in 90 days. The spray nozzle that helps you get out just the right amount in your hand before application or you can directly spray onto your scalp. 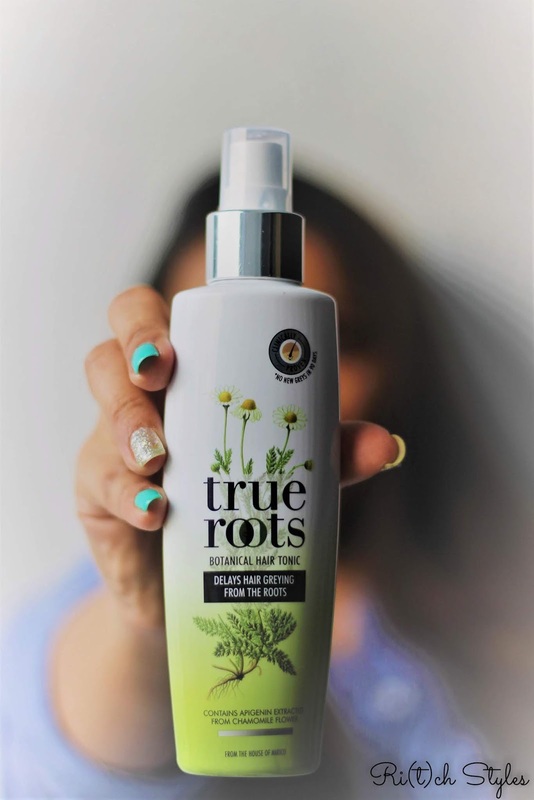 Radhika Apte, launched Marico's True Roots Botanical Hair Tonic where she spoke about the #FaceItSolveIt philosophy of True Roots - “I am happy to associate with True Roots, a brand that encourages people to solve problems right from the roots. I am myself the type of person, who looks at challenges straight in the eye and solves them by addressing the root cause. 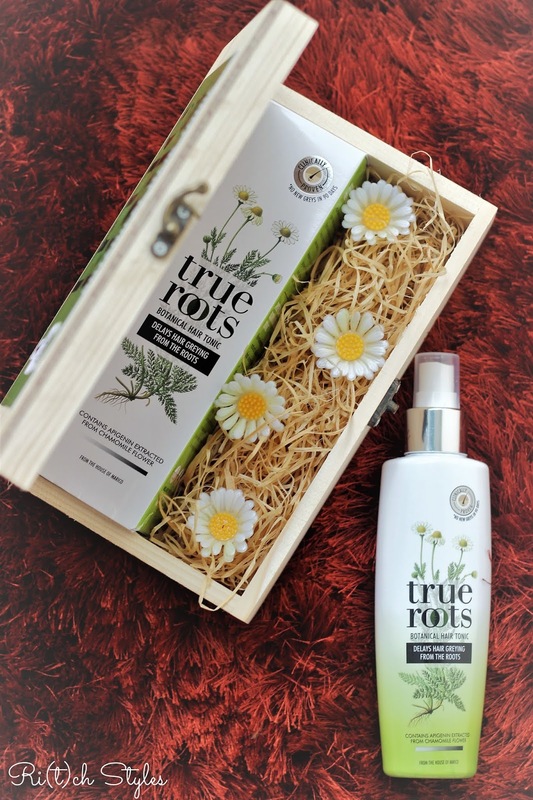 With the launch of True Roots, it’s great to finally have a solution to delay hair greying, so no-more quick fixes and hair hacks, we can now face it and solve it.” For her it is sync with her philosophy that it is important to keep reinventing herself as her profession demands that. I know this product is going to have a lot of takers and for me, well I have just started trying it out as well and hope to see my existing greys gone in 90 days! The current stress n pressure causes early greying... Helpful product.. This looks like a very useful product. Premature greying of hair is a common problem. Thos product will certainly help many. Kids, Diwali Fun and Stains - Embracing it all!